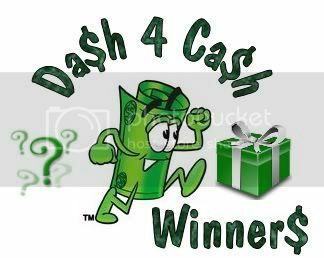 Congratulations to all of the 8/1 Dash 4 Cash & Other Prizes winners! If you’re on the winner’s list, check your email to look for an email about your prize. You have 48 hours to claim your prize before another winner will be chosen. Make sure that you continue to follow the blogs that you’ve already liked on Facebook. It will save you time when the next Dash 4 Cash & Other Prizes is held on August 10 from 9-10 pm EST. Treasure Hunt 8/4/11 What Will You Win Today?